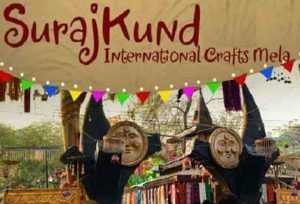 Surajkund international craft Mela is one stage where you got to experience the the vibrant art and culture from all over the globe. Surajkund mela is the world’s largest crafts fair started from Feb 1 and will end on Feb 17. This is the 33rd edition of the Surajkund Mela. The best attraction for tourists attending this fair (Mela) is that every year organizer pick one of the Indian state as a theme and one country to partner this popular fair. So this time Maharastra choosen as the theme state, Thailand as the partner nation. So if you want to spent your great time by experiencing the colorful culture of Maharashtra then do visit with your friends and families because still 5 days left in closing the Mela. 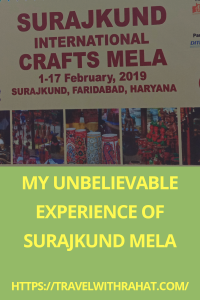 Now let me share with you some fascinating points of Surajkund Mela which will draw your attention more in experience this Mela. 1. 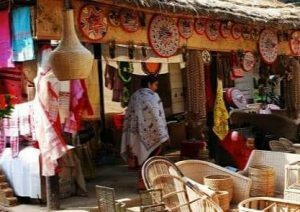 Surajkund Mela is an International Crafts Fair which is attended by more than a million visitors including thousands of International tourists. 2. Surajkund Mela takes place at surajkund, in Faridabad and is very easily reachable from Delhi. 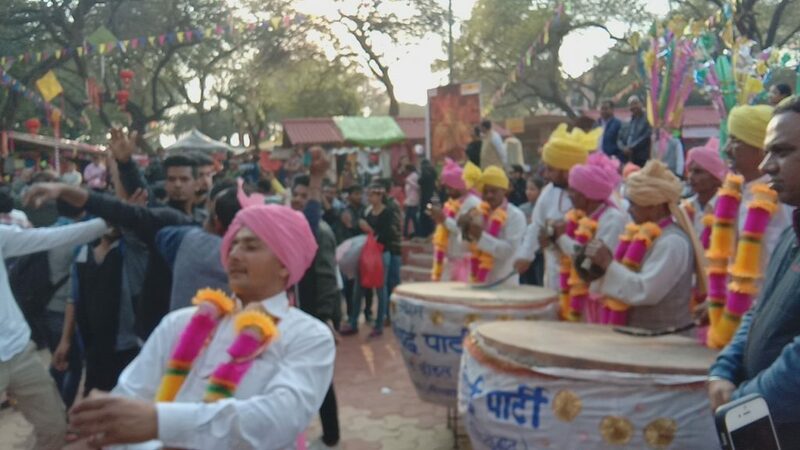 So if you are in Delhi or near Delhi then do visit here to experience vibrant culture of all over the world at one stage that is Surajkund Mela. 3. 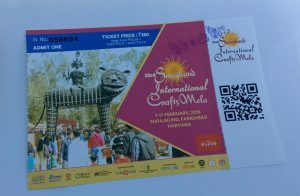 Surajkund Mela is organized by the Haryana Tourism in regards to display Indian and international arts, crafts, handicrafts, hand looms, folk dances and cuisines. 4. I suggest you to visit this Mela on weekends to see the electrifying crowd but still you can visit any day between 1st February to 17th February. 5. To enter you need to purchase entry ticket which is Rs 120 for weekdays and Rs 180 for weekends which you will get from ticket counter. Or in case you want to avoid standing in a long queue then you can book your tickets online from bookmyshow . Also their are rebates for students, senior citizen, freedom fighters and war widows. So to visit this mela with your children or grand parents is great to experience this festival with. Surajkund is in Faridabad city of Haryana and is a part of Delhi NCR Visitors staying in Delhi (NCR). 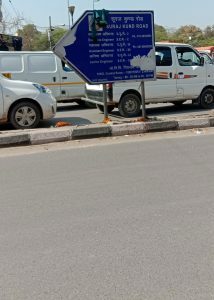 So To reaching at Surajkund Mela is easily approachable by Air, road , train or Delhi metro. By Air: If you are visiting Surajkund Mela from outside Delhi or Delhi NCR then, the nearest airport is Indira Gandhi international airport at Delhi and from the airport Surajkund is 25 km away and then you can hire private cab from Uber or Ola which will take you to Surajkund Mela by road and it will approximately take around 1 hour and 10 minutes to travel the distance. 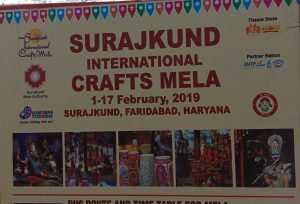 By Road: If you are visiting Surajkund Mela from Delhi or Delhi NCR then Surajkund is well-connected to Delhi, Gurugram (which is earlier known as Gurgling) and Faridabad by metalled road approachable by one’s own or hired conveyance. But if you are staying at Gurugram, then you can hire cabs or buses from iffko chowk towards Faridabad which will save your 40 minutes if you are traveling by metro from Gurugram to Faridabad. By Rail: Delhi is the nearest railway junction. But Faridabad railway station is also near to surajkund mela but for easily approachaple Delhi railway station is the nearest one. From each of these stations, one can travel to Surajkund by car/cab or tourist coach. By Delhi metro: The network of Delhi metro is very well connected with every corner of Delhi and Delhi NCR so, to reach Surajkund Mela The nearest metro station is Tughlakabad Station is on the Violet Line of the Delhi Metro located between Mohan Estate and Badarpur station. From Tughlakabad metro station, the location of Surajkund mela is approximately 2-3 kms which can be reached by private cabs or E-Rickshaw available outside the metro station. Since my hometown is Jammu & Kashmir but I stayed in Delhi for almost two years for my job during which I explore Delhi with different angle. 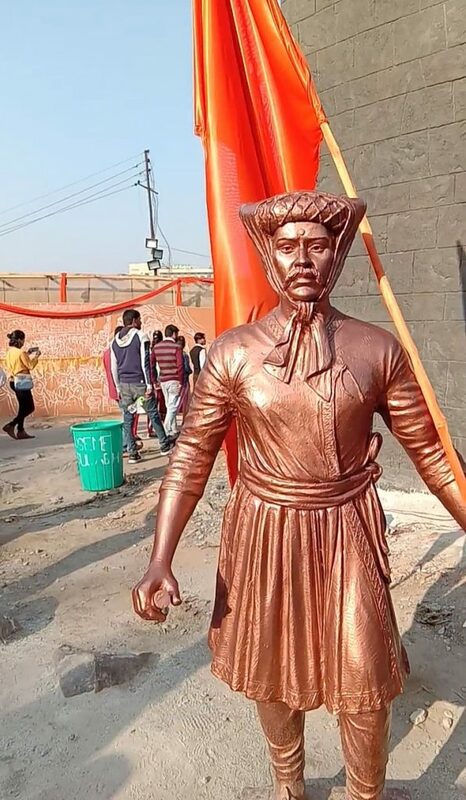 So, during my stay in Delhi last year I got to know about this popular Surajkund Mela I was surprised to know that was it’s 32nd edition and every year one state from India choose as the theme and their is one country to partner this mela. So I went with lots of curiosity to know what exactly happen in the Surajkund Mela and I was so surprised to see that I got to experience the culture from all over the globe at one stage and for this I applaud the organizers of Surajkund Mela because I love to travel to experience the culture of the place and look I got to experience the colorful culture at one place only. Since then I plan to visit Surajkund Mela every year, so this time I went to 33rd edition of Surajkund Mela again but this time from my hometown Jammu and Kashmir. Another reason I visit this time as well is they have chosen Maharashtra as the theme state and I like the culture of Maharashtra a lot. I was at Gurugram in my friends house so I travel solo to Surajkund mela location by cab from Iffko chowk towards Faridabad via Gall Pahadi route and drop me at Surajkund road from their I took E-Rickshaw to Surajkund Mela gate number 1 parking gate. I purchase my entry ticket from ticket counter, since it was saturday there was a huge crowd but still I manage to get ticket in 10 minutes. After getting the tickets I pass the security check and after that the atmosphere across the whole area was amazing. The decoration across the whole area was fabulous. The trees are decorated very beautifully as well. At the entrance their was amusement park where children were having an amazing time, since I visit solo at surajkund mela I haven’t went to amusement park area. Since they were displaying the state theme of Maharashtra there was lot of attention points focusing the culture of Maharashtra. 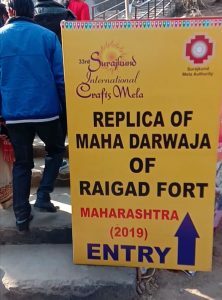 The most beautiful thing I like is that they have created the beautiful replica of Raigad fort. Raigad fort is a hill fort situated in the mahad, Raigad district of Maharashtra, India. 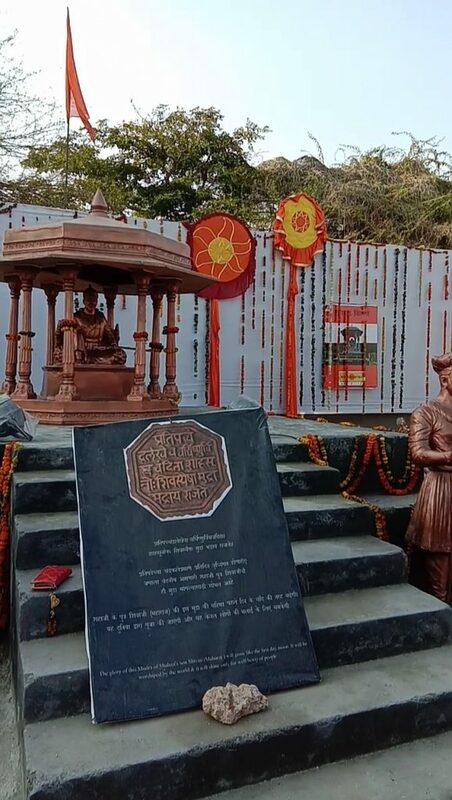 Raigad fort was the capital of the Marathas under Chhatrapati Shivaji Maharaj. Apart from that another popular thing I saw was the Trimurti at elephanta caves which is the main sculpture of this popular caves with three faces of Shiva. Trimurti here resembles a Trinity of Brahma, Vishnu and Mahesh (Shiva) . Any state culture is not completed unless without exploring it’s famous art, craft and cuisine. The art, craft and cuisine displaying the beautiful culture of Maharashtra. Apart from Maharashtra culture, I saw some amazing things like Chattisgarh gate, Himachal Gate , Rang Ghar of Assam. I also saw Haryana sanskriti darshan as well which displays the colorful culture of Haryana. 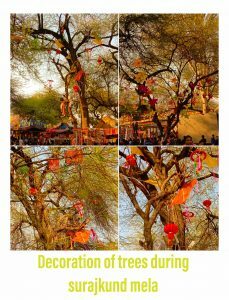 Some of the images of decorations at Surajkund Mela. I left Surajkund mela by 6 pm and I decided this not to go Gurugram by bus or cab. So, I prefer metro from Tughlakabad metro station. Around 7:30 pm I reached Gurugram. In the end, I hope you like my blog and if you are planning to visit Surajkund Mela then don’t cancel your plan. Do visit.